Staff has been gradually working on a proper setting history. What Pokémon your character starts with depends on whether the character is Original-- newly created on Horizons-- or an Import -- a character from an old RP board. Original characters get new starters, while Imports can bring over ones they trained up elsewhere instead. Please be sure to read the section(s) that applies to you carefully. As of January 2018, new characters on Horizons start with 4 Pokémon, with the exception of Pokémon League characters, who start with 6. (See below.) In both cases, 1 can be fully evolved (ex: Tsareena or Marowak), and 1 can have evolved once (ex: Steenee or Marowak, but not Tsareena). The other two must be unevolved. If you wish to app a younger trainer just starting out, you may also opt to delay choosing all four Pokémon and claim whichever slots you didn't get upon apping at a later date, with Staff approval in this thread. You also have the option to choose starters in your app, but then play out meeting or otherwise obtaining any number of them in-character. For instance, you could have a Zorua in your app, but in-character meet it shortly after your character starts their journey when they notice it stealing their food, and then write out how it becomes part of their team. Similarly, how your character obtained any Pokémon is entirely up to you. Maybe their first Pokémon came from a Lab; maybe it was a gift from their parents; maybe they found it abandoned and nursed it back to health; maybe they stole it! It's up to you. Pokémon are divided into 2 categories: Common and Rare. Rare Pokémon are those found in the Safari Zone, and they are harder to catch and breed. Common can be found in normal spawning areas all over Veria, and are available as starters. That said, for Starter purposes only, Common Pokémon come in two varieties: Unlimited and Limited. "Limited" Commons are fairly strong single-stage Pokémon who are on par with evolved Pokémon in terms of power. As such, they are still available as starters, but (unless taken with the GL or Prof bonus) require one of your Evo Credits to take. You may give up both evos for 2 Limited Commons if you'd like! Alternatively, you may give up both evos to take 1 Rare and 3 Unlimited Commons instead! For Gym Leader and Professor characters, 4 starters are picked under normal rules described above. They can then pick 2 additional starters as a Class Bonus. One of the bonus starters can be Limited or Rare; evo credits cannot be traded for a(n additional) Rare the way other characters can, but can be traded for Limited Commons. One of the additional starters can have its HA. These can be applied to the same or a different starter, and one or both evo credits can be moved to the bonus starters, including the Rare. The two bonus starters cannot be used until the GL or Prof character reaches 10 IC posts, however. All starters come with four Level-Up moves from Start to Lv50, with the exception of Gym Leader Pokémon, which all get 1 free Egg Move as well (for 5 total moves each). Evolved starters may have moves from their prevo's move pools among their 4 starting moves (Ex: A Ninetales may start with up to 4 moves it could only learn as a Vulpix.) With the obvious exception of Rares, you can take more than one of the same species if you wish. Start with 4 Bidoof if that is what your heart desires. It is recommended Breeders have at least one Egg Group compatible pair to start. Pokémon below are organized in Dex order and categorized by region for ease of browsing, but your starters can come from anywhere regardless of your trainer's origin. While characters can hold nearly any job, their Class defines how they most interact with Pokémon. Classes yield certain bonuses, both when starting a new character and as you play. Please note that bonuses are granted only once per class per member; you are welcome to play 3 breeders, but will not get triple the breeding slots. There are also two instances of overlapping bonus "types", in which case the more valuable one takes precedence rather than you receiving both. This is to offer multiple options for getting some of the bonuses, as well as prevent players with high amounts of characters from having too much advantage. Namely, if you have both a Trainer and Coordinator, the Trainer Regimen bonus nullfies the Coordinator one, and if you have both a Civilian and a Gym Leader, the Civilian salary nullifies the base GL salary (though GLs still get challenger payment). The bonuses that can be overwritten are marked with (*). The different classes and bonuses are described below. The most widely known group in all of the Pokémon world, trainers tend to explore the land in search of catching them all or being the very best, like no one ever was. Trainers can have other jobs, are more dedicated to their journeys with their Pokémon than the average person. Class Bonus: Can unlock tier 3 training Regimens, the only tier at which a jump straight to final evolution may be possible. See Regimens in the Threads tab. Very similar to trainers, coordinators tend to travel and train Pokémon, but focus more on precision and style than power. While anyone can compete in Contests and Showcases, Coordinators rely on it more, and tend to reap bigger rewards from doing well. Class Bonus: Can unlock tier 2 training Regimens(*), and gets double most rewards from Contests and Showcases, effectively a jackpot if you win. Breeders have the knowledge and capability to bring together two Pokémon to propogate and share the love. While all members can dabble in breeding, proper Breeders have the experience and know-how to keep up with more at once. Breeders can be either free services or businesses, depending on preference preference. Typically however, they will have some form of set home as a base of operations. Class Bonus: Starts with 2 Breeding slots per week instead of 1, and can unlock up to 4. See Breeding in the Threads tab. Class Bonus: Earns a monthly salary of 100 muns, which can be picked up here. Including Professors and Gym Leaders, League positions are limited and carry a lot of in-character influence. While Veria's League is younger than most, it has established itself pretty firmly at this point, and representatives of it should generally be community leaders or otherwise do a good deal of public good. Of course, you'll still find some antisocial folks, and occasionally someone who makes you wonder how they made it past background checks. But most League official should strive to do the title proud. Note: members are limited to 2 Gym Leaders and 1 Professor at most. They must be able to meet the activity requirements of all of them, and in order to have 2 Gym Leaders, at least one must be willing to accept a Co-Leader (see the Gym info in the Setting tab). Note that "League" is considered a Team, and while these two Leage classes are always League, one can be League-affiliated as another class, too. For instance, a Breeder who acts as a Professor's assistant, a Trainer who trains officially at a Gym, or a League secretary Civilian could all have the League team affiliation. Pillars of their communities, defenders of their cities in times of peril, and powerful type specialists, there is a lot more to Gym Leaders than simply handing out badges, although testing the skill of aspiring trainers is a large part of the job description as well. One can read more about gyms in the Setting tab. As Gym Leader positions are limited, we ask a higher activity rate of 10 posts per month, and while this is somewhat lenient once established, it is a hard requirement in the first month. Bonus starters cannot be used, salary cannot be claimed, and Gyms cannot be set up until the 10 IC post threshold is met. If a new GL fails to meet this requirement in the first month, they can make it up in the second. (Ex: if they made 7 posts in the first month, making at least 13 in the second will secure the position.) If new GLs cannot meet this requirement by the end of the second month, they will be asked to choose a different class. A Gym Leader who has been archived and returns can keep any extra Pokémon earned through class bonus before, but must meet the activity quota again before officially reopening a gym. A Gym Leader who was apped but archived before unlocking bonuses will be treated like a new character. Both these scenarios assume their type is still open to claim. •et; 2 bonus Starter Pokémon, unlocked after 10 posts. One can be Rare, one can have its HA; these can be applied to separate or the same Pokémon. Either or both can use the normal starter evo credits. See the Starters section for more details. This part of the starting bonus is not available to most Imports. •et; GLs also get 1 free Egg Move for each of their 6 starters. In the event a species cannot learn EMs, the credit for that one can be used on a diferent starter (ex: a Genderless Pokémon, Caterpie, Tynamo, etc). This part of the starting bonus is not available to most Imports. Class Bonus: IC prestige, a salary of 50 muns(*), and 35 more muns every time a Gym Challenge is started or completed (paid both before and after). All payments can be picked up here. Professors strive to research and understand the Pokémon world. Each one typically has their own specific field of research, and it is rare to find any Professors in a region studying the same field. With ties to the League for funding, Professors live a rather nice life, provided their research can produce results once in a while. (1) Your character can be a scientist/researcher/etc without being a Professor. The Professor class is a League-funded position, specifically. (2) As of April 21, 2018, in order to app a Professor, you must have a specific research project in mind and a goal to achieve with it. This can be small and doesn't necessarily need to have big effects, just enough to show them being involved in their field as a genuine scientist. •et; 2 bonus Starter Pokémon, unlocked after 10 posts. One can be Rare, one can have its HA; these can be applied to separate or the same Pokémon. Either or both can use the normal starter evo credits. The bonus starters must relate to the Professor's field of study in some way. This part of the starting bonus is not available to most Imports. Class Bonus: IC prestige, a salary of 50 muns(*), and a monthly "research allowance". With this allowance, Professors get 1 point per month and may spend it on certain Pokémon or items of choice, so long as they can give a loose "reason" it pertains to their research. (This is mostly for fun and an exercise in bs, nearly any reason will be accepted.) They can save up to 3 months for better rewards. Payment and allowance can be picked up, and full allowance options can be seen, here. REMEMBER: If your character is an Import, you can take a normal number of starters and your Class's Starting Bonus, or up to 10 Pokémon but no starting bonus. For instance, if you have an Imported Breeder and take the 10-Pokémon option, you will not receive any PokéBalls, Mushrooms, Rare Voucher, or Honey. If you bring only 4 of your old Pokémon to start, you will receive the items. Changing classes can be done easily for the most part. If your trainer starts getting more interested in breeding or your coordinator wants to retire to civilian life, etc, simply post here. The only restriction is that class changes cannot be done more than once per month per character, and you cannot claim a class bonus more than once a month even if your class changed. Switching into a League position requires a bit more work, however. If you wish to do so, please PM "Staff" (which will message all current Staff) a request along with why you wish to take on the role, and why your character would fit said role. Ex: a character interested heavily in Bug Pokémon would make a good Bug Gym Leader, but may not suit becoming a Fire Gym Leader. If staff approve of your reasoning, you will need to undergo a mission of your character somehow preparing for or transitioning into the role. The mission must reach at least ten posts within a month. After this mission is completed, staff will look it over and if approved your class change will be completed. GLs can create their gyms at this point, but note that they will not receive extra Pokémon, so be sure you've built up a team of your chosen type if switching to a GL role. Under buttons because there are a lot. Teams are organizations of trainers, ranging the board from Rocket to Interpol. While team membership will replace the color in your name that represents your class, it does not remove the bonuses of the class you belong to. A Breeder in Interpol, for example, will still be able to do everything a breeder is normally allowed to do, with no alterations. Players are free to create a new team, or even revive canon ones such as Team Rocket, when there are 3 or more interested members. Each team will receive their own sub-board where they can create a team Pokémon bank, list their members and roles, and plot future evil or good as the case may be. You can find those sub-boards here to see what teams are currently present. To create a team, please send a PM to "Staff" (which will message all current staff at once) with the following form. [b]Name of Team:[/b] Your team's name here [b]Original? :[/b] Is your team your own creation, or a continuation of a canon team such as Rocket or Magma? [b]Goal:[/b] What is the general goal of your team? (If you are applying a canon team, the application will be rejected if the goal seems unrealistic to the team's general motives.) [b]Members:[/b] List the interested members [b]Base:[/b] Does your team have a HQ of sorts? If so, describe this location. Original teams are asked not to be too outlandish in their designs. [b]Name Color:[/b] Try to choose one not too close to an existing class/team. Once your Team idea is approved, you'll need to do at least three missions as a team to officially set up and get your subboard and name color. The exact objectives are up to you, but they should relate to your team in some way (ex: recruiting, gathering resources, doing research). You will need to meet at least 3 criteria across these missions; whether you do them 1 per mission, load them all into one mission and do whatever you like with the other two, do two in one mission and one in another, or hit some multiple times is up to you as long as each is hit at least once. There's no time limit, so as long as you and your team members can maintain interest you can work at your own pace. •et; At least one must involve 2 or more aspiring team members threading together. •et; At least one must be NPC or prompt based rather than just spawns. •et; At least one must reach 2 full pages or more. Whenever a Pokémon is put to sleep or frozen, they are barred from taking most actions for a minimum of 1 move slot. Members can choose whether to apply this on the move slot the move hits or the end of the turn if they can make RP sense of it. For instance, if a Pokémon is hit with Ice Beam and frozen, the hit Pokémon could be slowly encased in ice and still fire off a move before being immobilized completely. We leave this to your discretion to a point. In either case, at least one move slot must be waited, with the exception that sleeping Pokémon can still use moves like Sleep Talk and Snore, and frozen Pokémon can still use moves that thaw them out. Barring those exceptions, Sleeping Pokemon roll [roll=WakeUp] for the next two move slots. If they awake, they may use that move slot normally. If they don't roll awakening either attempt, they will awaken the following move slot, having been asleep for 3 total. Frozen Pokemon similarly roll [roll=Thaw], but do not have a maximum number of turns they can be frozen. These for the most part work exactly as they do in-game. It is up to the user whether they want to subtract based on percentage with decimals or calculate numerical HP. Becoming paralyzed cuts a Pokémon's Speed in half for all things that effects. Each turn, a paralyzed Pokémon rolls [roll=Paralyzed] to see if paralysis prevents them from moving. This must be rolled before each attempt at an action or move, unless it has already taken place once this post. Paralysis will not activate more than once per post. Confusion works just like in-game. Before each move or action, roll [roll=Confused] and deal damage accordingly if the Pokemon hurts itself. Confusion cannot activate more than once per post. Klutz, Unnerve, and Unburden currently have no use outside of flavor. Cheek Pouch, Frisk, Gluttony, Harvest, Honey Gatherer, Magician, Pickpocket, Pickup, Sticky Hold, Symbiosis, or Illuminate: When using a Pokémon with one of these abilities, your montly Berry hunt can be done anywhere. See the Threads tab for details. May aslo be used for flavor, of course. Ex: Pick-Up or Pickpocket might grab various things (not Mart or Treasure items), Honey Gather might help make a delicious snack, or a Pokémon with Illuminate might shine much brighter than its brethren with other abilities. Run Away: In addition to always being able to run, the Pokémon is always able to switch out, even with trapping moves or abilities in play. Wimp Out / Emergency Exit: Unlike in-game there is a distinction between these abilities. If a Pokémon with the ability Wimp Out is forced below 50% it must immediately flee or switch out if there is another viable Pokémon to take its place. This ability bypasses any custom rules between trainers to not switch out. Emergency Exit works similarly; but by choice. If a Pokémon with the Emergency Exit ability is forced below 50%, the trainer can choose whether or not they wish to take the chance for a free, non-move slot wasting switch. Activation of these abilities allows fleeing in spite of trapping effects, as well. Pressure: If the Pokémon is successfully struck by a move with a base power of 80 or more, that move is disabled for the rest of the battle. Can only work on one move per Pokémon (attacking the Pressure Pokémon), and can stack with Disable, Spite, Grudge, and Cursed Body. Protean: Protean is activated by choice on Horizons. Once per post, you can choose a move you have used and change the Greninja's typing to it. For instance if Greninja used Aerial Ace and Toxic in the same post, its typing can be changed to Flying or Poison for the remainder of the post. This typing is maintained until your next post where it may be switched again. Protean activates during the move of the desired type, meaning if you choose the typing of the second move, its type will remain as it was last turn during the first move. Dancer: Pokémon will mimic a "Dance" move of an opposing or partner Pokémon once per post, not using a move slot in the process. If multiple dance moves are used, you may choose which is mimicked. Dazzling / Queenly Majesty: Opponents are prevented from using any and all moves with increased priority, even in defensive manners. RKS System: To have Silvally take on a specific type, a trainer must have the correct memory discs. To obtain these memory discs, missions must be performed. 3 type discs can be rewarded from each mission so don't worry about performing 18 missions to get all the times. A Silvally must enter as one type and remain that type for the remainder of the battle. Provide proof you own the correct disc by providing links to completed mission threads in your PC. Schooling: When entering a battle, Wishiwashi will immediately take school form unless it or its trainer chooses not to. When Wishiwashi reaches 25% HP or less, it continues the rest of that post in School form, then reverts to Solo form between posts. If it somehow heals above 25%, it returns to School form instantly. If for any reason Wishiwashi loses its ability however, the return to Solo form is also instant. To reflect the level requirement in-game, freshly hatched Wishiwashi cannot School until it is at least 7 days old. Wild-caught Wishiwashi can always School. Truant: The Pokémon is reduced to one move slot per post. Threads can be divided into a few categories. IC Posts are anything where you are required to write in-character, and may be Solo threads, Interaction threads, or One-Post threads. OOC Posts, in addition to the obvious simply using your character's account to post in an out-of-character area such as Suggestions or Trackers, also include several types of posts that benefit your character ICly: particularly Breeding and Regimens. These can include IC flavor text if one wants, but do not count as IC posts for the sake of activity checks. Solo threads are ongoing where you are the only player; if you thread two of your own characters together with no other players, it is still effectively a Solo thread. They typically involve a mod doing spawns of some kind. Interaction threads involve two or more players, and may or may not be modded. One-Post threads include any one-shots or fully solo; but they also include Swarm posts, Contests/Showcases, and occasional other events where a Staff member posts an intro post and players only reply once to take part. With those distinctions, the types of threads are as follows; more details on each can be found in the lower sections. Catch: Gotta Catch 'em All, right? Catch threads can request Pokémon spawns to capture. They can be Solo or Interaction. You may only have one active Catch thread at a time. The Safari Zone and Aquasphere are special types of catch areas with unique rules. Training: Training threads also spawn Pokémon, but only for the purposes of battling for experience. Evolved encounters can be requested to guarantee higher exp, but if you ask for one, you do give up your chance of a Horde encounter. They can be Solo or Interaction. You may only have two active Training threads at a time, and only if one is Interaction and one is Solo. You cannot catch from a Training thread. Swarms: A different way to catch Pokémon. Four swarms are posted by Staff each month, and the Pokémon caught there have a separate limit from normal Catch threads. They are One-Post threads. You can participate in them regardless of other current threads. Treasure: Treasure threads give you four chances per month to get nice items, ranging from money to evolution items to Mega Stones and more. You may only have one active Treasure thread at a time. They can be Solo or Interaction threads. PvP: Player-vs-Player battles, this can include sparring matches, Gym Challenges, etc. They are of course Interaction threads. More details can be found in the Battle tab. Contests: Contests are big, multi-round coordinating events. Typically, two of the three events will be One-Post, while one will be PvP Interaction. Showcases: Showcases are smaller, quicker, single-round coordinating events. They are One-Post threads. Regimens: Surely, no one has time to write about their characters training Pokémon as often as they really would. As such, Pokémon can be put through training Regimens to do a small amount of off-screen training to earn Evo Points or free moves learned each week. These are OOC threads. Breeding: A breeding thread, often referred to as a "ranch", is maintained in the Breeder's Square board and allows members to submit requests for their Pokémon to breed eggs. These are OOC threads. Pure Interaction: The most classic roleplay experience. Just two or more members writing their characters talking and doing stuff together. Fully Solo: These non-modded threads can be one-shots or ongoing, with a single character or multiple owned by the same player, and are typically done for character exploration and/or history building. One must wait at least 12 hours between posts unless the previous post reached 1,000 words or more in order to prevent spamming to farm for money. Missions: Missions are a special type of thread in which almost anything can happen. You define your objectives and what obstacles you will have to overcome in a Mission Application, as well as a Reward earned upon completion. If Staff approves of the details, you play out the thread, and assuming you can meet all your objectives you will receive your chosen reward at the end. These can be used to get specific items, Pokémon, knowledge, etc. They can be Solo or Interaction. Events: Occasionally, special events come up. These might be grand multi-thread RP endeavors or simple (non-coordinating) contests you One-Post to enter ICly. It varies from one event to the next, so always be sure to read up on events when they pop up. While not strictly required, it is appreciated and helpful to mods and other members if you tag your thread titles. For instance, if you're threading with Bob catching Pokémon together, "Title Here [Catch/Bob]"; if you're training and looking for treasure, "Different Title [Training/Treasure]"; etc. Of course, this does not apply to One-Post threads as you do not create the first posts of those. A Training thread functions almost exactly like a Catch thread, except in that you cannot catch the Pokémon you encounter, and you can request spawns be evolved. You still request spawns the same way. Solo threads can request double spawns, and you can request one or both be evolved. If you request evolved spawns, however, you lose the chance of encountering Hordes in those slots. As for why one would do this, Pokémon earn Evo Points for each battle, and evolved Pokémon are worth more. A large horde is worth more, but the guarantee often makes the evolved spawn option more appealing than the 10% chance. Full details on evo points can be found in the evo request thread. You may have one solo Training thread and one interaction Training thread at a time. You may not have two of either type at once. Not to be confused with the Training threads above, a training Regimen-- or simply Regimen-- is a system that allows players to train their Pokémon "off-screen", so to speak. Once a week, the member can have a mod roll for a small number of evo points or free moves (the same effect as using a Move Tech). Members may only make one Regimen roll per week, regardless of how many characters they have. Each point rolled translates to 1 evo point or one move, and the member chooses which type of training Regimen it is before the roll; all points will be the same type. Regimens exist in tiers. Having a Trainer or Coordinator allows the member to unlock Tier 2 after 10 Regimen rolls have been completed. Having a Trainer allows the member to unlock Tier 3 after 20 total Regimen rolls have been completed. Tier 1: Members can train 1 Pokémon per week, and will receive 1-4 points per Regimen. Tier 2: Members can train 2 Pokémon per week, and will receive 2-5 points per Regimen. Tier 3: Members can train 3 Pokémon per week, and will receive 3-7 points per Regimen. 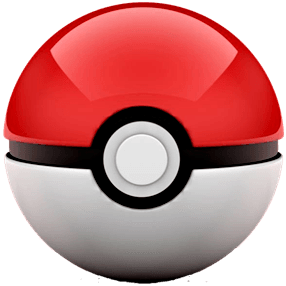 The points are received in a pool, and can be allotted to Pokémon as the member sees fit, so long as every Pokémon involved receives at least 1 point. For instance, if at Tier 3 a member is rolled 5 points for the week, they could allot them in a 1/1/3 or 1/2/2 spread. As such, rolling a 7 in tier 3 is the only way a Pokémon can jump straight from 0 to 5 evo points needed for Final Evolution; the most a single Pokémon can earn in one session is 4 otherwise. If the roll exceeds the points a Pokémon needs, the excess are lost; with the pool aspect, this is mostly a concern at tier 1, but simply choosing which Pokémon to train carefully will avoid it. The same Pokémon cannot be trained in a Regimen 2 weeks in a row. After a week wait, they can be trained again if desired. Regimen training weeks are counted from Sunday morning to Saturday night, running on Pacific Standard Time. In this way, it becomes a bit easier to raise Pokémon (A) that are weaker (like Magikarp or Caterpie), (B) when you're busy, (C) if you dislike writing normal training threads, or (D) if you want to 'retcon' in a stronger Pokémon your trainer "always had". Regimens are a fairly slow method, but help ensure you can make at least some progress with only patience. NOTE: In order to make use of a Trainer or Coordinator's Class Bonus and use the higher tiers, your qualifying character must have at least 1 IC post in the past month. Whether it was 30 days ago or 30 seconds ago, at least some level of activity is required; characters cannot be made simply as alts for their bonuses. If you own a Trainer and have unlocked Tier 3, but have not posted on that character (or any Trainer if you have multiples) in over a month, you will be reduced to Tier 1 until your Trainer posts again. A single post will immediately restore the bonus. Alternatively, if your Trainer falls inactive, but you have a Coordinator who is active, you can drop to Tier 2 instead, effectively reverting to the Coordinator's bonus instead of the Trainer's. Similar to Treasure hunting, you can also do one Berry Hunting thread per month. Under normal circumstances, this must be done in the Berry Grove board in Sinclair, and can only be a Berry Hunt (either solo or interaction). However, it can be done anywhere and combined with any other thread type (ex: Berry/Catch, Treasure/Berry) if you have a Pokemon accompanying you with one of the following Abilities: Cheek Pouch, Frisk, Gluttony, Harvest, Honey Gatherer, Magician, Pickpocket, Pickup, Sticky Hold, Symbiosis, or Illuminate. You will receive 4 rolls per thread, which each contain 1-4 berries, and keep all the berries you find. Once you have some, you can exchange them for PokeBlocks that do different helpful things here! This thread explains the PokeBlock abilities and a bit more detail as well. On a similar note, Ditto is allowed, but should not overdo its transformations. Copying a teammate on stage is fine, but transformations from memory get trickier. Pokémon from memory have only very basic moves if any, and inanimate object transformation could be fine but might earn a penalty if judges deem anything Too Much. Just employ moderation and you should be fine. For quick reference. Note that Nidorina and Nidoqueen are considered Monster/Field, and Ditto only breeds with Genderless Pokémon here. In order to make a Mission, you will need to post a template from the Mission Maker Guidelines or Skill Missions threads found in the Mission Center in the same board. More details can also be found there (although some may be a bit dated and may receive minor updates in the future); this section will just be a quick overview. Missions can include almost any parameters so long as Staff agrees they are believable enough. You can request Pokémon spawns, NPCs to be mod-controlled or as basic character ideas for you to take control of and interact with, or situational prompts. Examples of prompts might be an Aura User requesting spiritual exercises to perform to train an aura skill, or someone performing an Alolan trial. The rewards earned from missions can be things like Pokémon and items, a Hidden Ability unlocked for a Rare Pokémon, knowledge of how to use Z-Power or Mega Evolution, or more in-character benefits such as a large number of henchmen or guard Pokémon to be NPC'd by a team or knowledge of a thing rarely known ICly. Up to 4 missions can be performed in one month, and only up to 2 can be done at a time. If an RP partner is very inactive, however, a mission may be put on hiatus to pick up another with Staff approval, or in some cases even finished solo. When a Mission's parameters have been met, Mod Summon with the link to have it reviewed; your rewards will be granted upon approval. Plotting with Legendary Pokémon is possible, but requires more effort. Ideas must first be run through the Legendary Central board and approved by at least 3 staff members. Once the basics are approved, Missions must be individually created and approved to progress through the plot. When a Legend is encountered, it will be NPC'd, though control may be transferred to the player after a certain point depending on how the thread goes. UB plots are generally handled similar to Legends.